The video also notes that Kadri is a repeat offender. His rap sheet includes the three-game suspension he picked up in last year’s playoff series against the Bruins, and also a similar crosscheck to the head incident back in 2016. 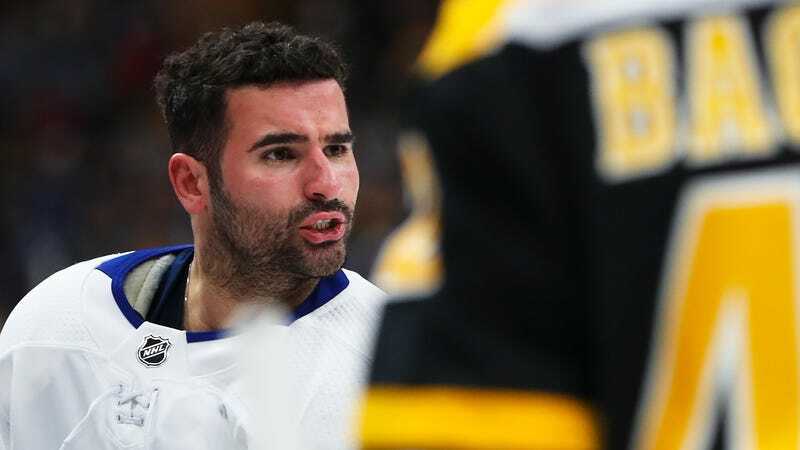 As such, even though the indefinite length breaks with the NHL’s more specific penalties on a couple of the most recent serious playoff suspensions, it makes sense that they’d escalate Kadri’s punishment. It also makes sense for the league to keep him off the ice against Boston no matter what, because it’d be ideal for all involved if both the Bruins and Maple Leafs could get through this series without any players committing murder.